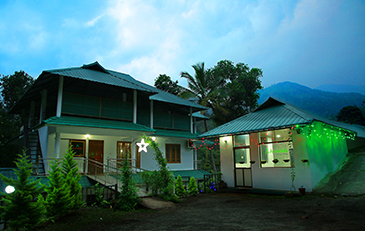 Welcome to Avondale, Munnar – For an unsurpassed hospitality with a royal charm. Indelible is the word that defines your experience at Avondale, Munnar. We open doors to a completely new world, where living is wholly harmonized with nature. We offer outstanding facilities, highly personalized services, cleanliness at its best and above all, serenity and comfort to our guests. Our guarantee of not succumbing to dilution of standards is what sets us apart from the rest. Relax and enjoy the enticing beauty and weather of Munnar with Avondale and you are assured to get caught up in a world where surprise never ends. You get to get away from the crowds of the cities and embrace the calm tea plantations and breathe the crisp mountain air. In short, we are your ticket for an ultimate getaway in the serene folds of nature. Munnar is often named by Travelers as the "Honeymooner's Paradise” because it offers a lush green carpet of tea plantations filled with crisp mountain air. It is a perfect retreat for those who want to spend their vacation away from the hustle and bustle of the city life; in the lap of nature. Wake up to the sweet chatter of birds, the aroma of cardamom in the air, and panoramic views of the mist-clad valleys and hills which will move you to mighty folds of solace and joy. Avondale offers more of an escapade with nature in all its splendor and color than a routine vacation.